» This giant dragon shaped building coming to life! This giant dragon shaped building coming to life! Giant dragon shaped building DREKIN is now in the project planning phase. This 45 piece apartment building is being realized in collaboration with new public reality company Bústadir. 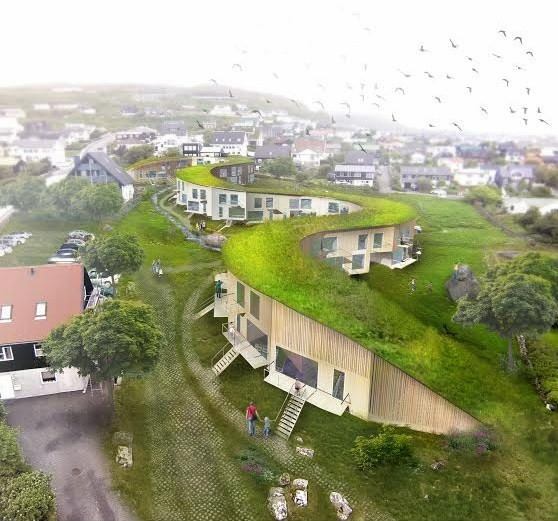 The project is thought to be a floating building over the terrain, constructed by modules and with a floating grass roof, witch is a traditional roofing in the Faroe Islands, and today perceived as environmental friendly through out the world.